For the fans of the sci-fi genre, time travel is a very interesting subject. It is an instant recipe for complicated plot and convoluted timelines. Your brain has to engage if you don’t want to end up with a headache and a confused expression on your face. They give you something to ponder upon, something to discuss with your friends. And all this anticipation is what elevates your expectation from every film that intends to fall under this genre. However, you also have to be ready for some loose ends and loopholes. Considering that we still haven’t completely grasped the idea of time, some disappointments are bound to materialise from every film based on time-travel. This is exactly what happened with ‘Looper’. 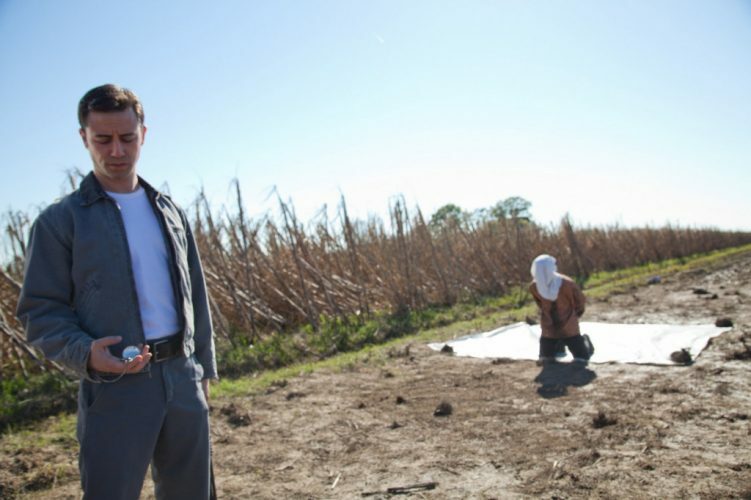 Even though it is considered to be one of the better films in the genre, ‘Looper’ suffers from some plot holes and twisted timelines that the film doesn’t bother to explain. Yet, it doesn’t stop the movie from being any less entertaining. If you have seen the film and found yourself questioning some of its aspects, let me tell you that you have just scratched the surface! If you pull on one thread, the whole thing will fall apart eventually. Trying to make sense of its flaws will only open a Pandora’s box that you surely want to stay away from. The best way to escape from this situation is to take the film on its face value. It was exactly what you saw it was. But, if you are one of those who can’t accept it, we’ll try to make some sense of it for you. Before we begin, let’s take a quick recap of it all. The year in 2044, and thirty years later, i.e. in 2074, time travel will have been invented. However, the government (or someone who has authority) will quickly realise that it will only cause chaos, and so, it is banned soon after. However, criminal organisations get a hold of it and they decide to use it for some of their menial tasks- killing people. So, what they do is, capture someone, and send them back in time where a hitman is already in position to kill the person instantly. This way, the murder never happened in the future, and the body that is disposed of in the past never existed. Joe is one of these hitmen and a rather great one at his job, you can tell! He has been learning French and saving money for when he will close his loop (in other words, retire). However, when the time comes to close his loop, a blunder happens and Joe gets in all sorts of mess, the explanation of which will constitute the rest of the article! Before you begin to entertain the idea of your life as a looper, there are some things that you should know about this career prospect. 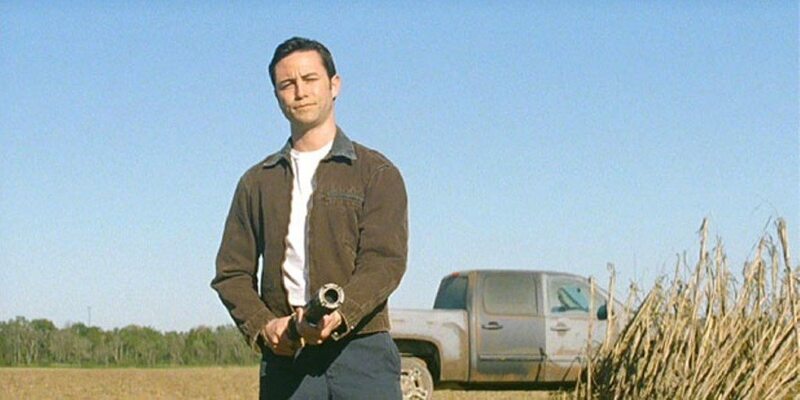 A looper is basically a hitman, but with a simpler task. He has to be at a specified place, at a specified time, and instantly shoot the thing that appears in front of him. After he has shot the person, he has to dispose of the body, not before he has collected his silver that will be loaded on the back of his victim. To get your silver changed into money, you have to report to your boss after every kill. This boss is Abe. He is from the future. The Mob, who send the victims, sent him with a “one-way ticket” to the past to keep an eye on all the loopers. Alright, this was the easy part. Now comes the tricky one. There will come a time when you’ll have to retire. You’ll not be told when that day will come. You’ll find it out after you’ve done the job for the day. On normal days, your payment would be in silver. But, on the day of your retirement, you’ll be paid in gold. And so, you’ll know. With all these riches, you can do whatever you want, go wherever you want, live the life of your dreams. But it comes with an expiration date of 30 years. As explained early on in the film, time travel is illegal, and the Mob don’t want anyone who has ever had any association with them living to tell the tale. So, 30 years later, if you’re still alive, you’ll be captured and the same thing will happen to you what happened to your victims. One of the highlights of your retirement day will be that it’ll be the same day that you’ll die. The person with gold on his back will be you, from the future. Now, why is it necessary for someone to kill themselves? 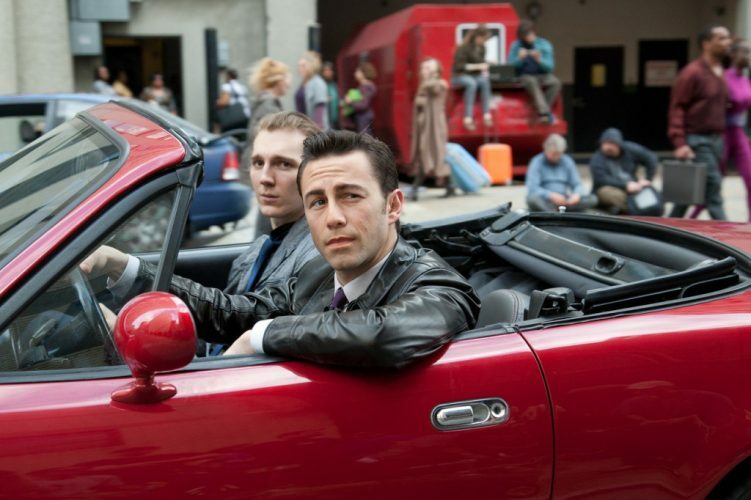 Why can’t they just send one looper to be finished off by another? Why make them aware of the “expiration date” in the first place? For the first two questions, I have an answer, which is how Rian Johnson, the director of the film, explained it. If one looper is killed by another, then there will always be an air of suspicion between them. They’ll keep wondering, “who’s the man that’ll kill me”, or worse “who’s the one that has already killed me?” With such feelings, we wouldn’t see the sense of camaraderie that we initially saw in the film. This could also lead to a fight between loopers, and who knows where that would lead to. So, the best thing is to get the person to kill themselves. That way, there’ll be no bad blood between anyone, and the workplace will be a safe-space! Why tell loopers that they’ll be killed three decades later? I don’t know, there must be some honesty clause in the contract. Because I think it’d be so much easier if they didn’t tell them. The Mob will have to capture them, anyway. There’ll be rarely anyone who will accept his death with open arms. Of course, most of them will try to fight back or run away. Moreover, by telling them that their Judgement Day will come 30 years later, you’re giving away a tip. If they want to survive, they’ll be ready! By not telling them anything, at least you’ll have an element of surprise, which will make it easier to capture them. But, yeah, I don’t know. Maybe, people are more honest in the future! Knowing that they will be killed by themselves, the Old Loopers will try to come up with a way to not let their young-self kill them. They can hum a tone, or say their name out loud, or some other trick of that kind. Once the person knows that they are going to kill themselves, they’ll obviously stop (unless they take their job very, very seriously). This is what happens with Seth. His older version buys some time by humming a familiar tone. This takes Young Seth by surprise and he freezes. By the time, older version runs away. Such a case is called “letting your loop run”. If your older self runs away, then it’s time for you to run away too. Run as far as you can because if you are caught, a fate worse than death awaits you. Before we discuss the ramifications of what happens to the people who let it go, we should discuss another important point. How did Abe and the bosses know if the loop had run away? And how did they relay the information about the time and place of the next kill? How did the looper know where to appear and when to appear? About the time-table of the loopers, we can guess that they were each assigned a specific place and a specific time of the day. They had to stand and wait there for their next kill. If something shows up, kill it; if nothing, then go along enjoy your day. Another method could be that since Abe comes from the future (though, we don’t know how far from it), maybe, the Mob could have given him a list of all the time and places where they would send the target. The only thing Abe does is assign these time and places to his men. One more way that could work is that Abe has his own delivery place. He doesn’t receive the target there, but something, like a paper, that gives him information about the time and place. And the order is passed. Now, how would Abe or the Mob know whether the loop has been closed or not? There could be a number of ways in which this problem could be solved. 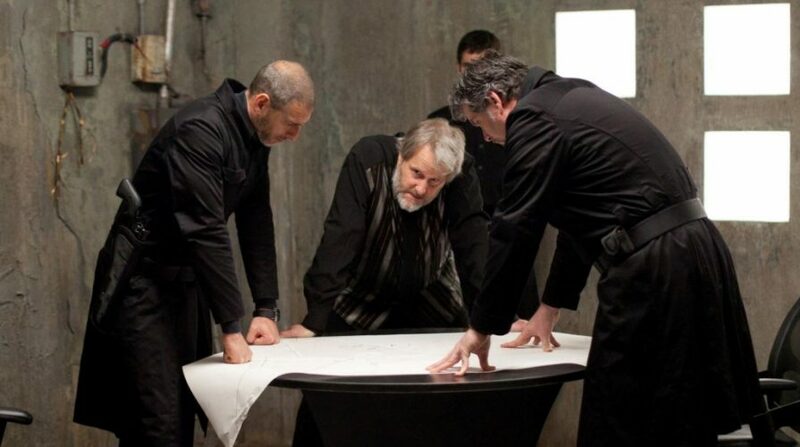 Number One, as soon as the kill has been made, the loopers are supposed to meet Abe for exchanging their silver. Maybe they have to make an entry of some sort to let him know that the job has been done. Any delay in it would mean that the loop has been allowed to run. Now, one could wonder: why not let your loop stay alive, take your gold, make it known that the job is done and enjoy the rest of your life with your old self? To counter this problem, there is something better which the Mob could have come up with. We are told that in the future, there is some sort of tracking device in everyone which makes it impossible for the Mob to commit murders in the future. As Johnson explained in an interview, as soon as someone is killed, their device instantly indicates that. The device also makes it quite impossible to dispose of the body and brings all sorts of complications for them. While this tracking system is the bane of their existence in the future, they could use it to their advantage in the past. When they sent Abe back, they gave him a tracking device, something similar that the government used to track its citizens. Now, with the instructions they send to Abe, they also send the tracking number of that person, which they will obviously acquire by illegal means. This way, as soon as the person is killed, Abe would know. This is the best way in which I can explain this, but if you have a theory of your own, it could work equally well. What’s the worst they could do to you if you let the loop run? Honestly, you don’t want to know. And perhaps this is why they told us by setting an example through Seth! A moment of weakness from young Seth allowed the old Seth to run away, but it turned into his worst nightmare when the young one was caught. What they simply could have done is killed the young one, which in turn, would have killed the old one, as well. But this isn’t what they do. As Abe says, it’d be “too cataclysmic a change for the future”. They capture him, anesthetise him and then start chopping his body, one part at a time. By the time the older one makes his way back to Abe, he is already a limb too many short and young Seth’s life is over. This becomes the site of the very first loophole in the film. If they have left Seth in a state that is only inches away from death, then his future is altered already! He will never do the things he would have done had he closed the loop and wouldn’t have grown up to be the old Seth who would run away from the time of his execution. What good was it then to make him suffer so, other than the fact that they wanted to scare other loopers to discourage them from committing the same mistake? The film never bothers to explain this paradox or any other that follow, and hence, it’d be best to accept that this is one of the many flaws in the film. The only importance of this scene was to give young Joe an idea to communicate with old Joe, later in the film. When someone is sent from the future, they are told not to mess with the events. This could lead to disastrous consequences because their one action can cause a huge impact that can change the whole future for that matter. This is taught to us when we see Joe’s story take two possible paths. In the first path, he successfully closes his loop and then moves on to live in China, where he spends his life in drugs and violence. Then he meets a woman who changes his life. Soon after, the Mob comes to capture him, and by mistake, they kill his wife. This makes him angry and he decides to change the course of events by killing the man responsible for killing his wife. And so, he evades the closing of his loop. This changes the story of his young self because he is no longer on the same path that he had originally followed. And now, for the ripple effects. Since you have travelled back in time and allowed yourself to change your story, you must beware of the effects that it will have on you. Chopping off limbs and carving out instructions on the body is only a couple of things that’ll make a difference. The whole path of life might change and this could create a paradox in itself. When old Joe does this, he starts to feel the effects as soon as young Joe starts to make the decisions different from the ones old Joe had made when he was young! So, the memories that old Joe had of his young-self begin to change into the memory of events that are happening concurrently. He describes this process to young Joe when they are in the diner. Since, young Joe is essentially going down a different path now, the things that old Joe had done when he was young cease to exist, and thus the memories begin to shift themselves into something that actually happened. The farther young Joe strays from his previous chain of events, the more will old Joe’s memories change until they reach a point where old Joe will have no memories left of his previous life. If what I said above has confused your brain, then I guess you’re someone new to the genre. In your preparation for further films, you should probably familiarise yourself with the Grandfather Paradox. Trust me, it helps to know the basics. Coming back to the time-travel scenario of ‘Looper’, things will always be a bit hazy here. This is because the film doesn’t bother to set any ground rules for itself. The idea that it does introduce turn out to be frivolous plot devices and the deeper impact of them is never really given proper thought. This is what leaves the audience baffled, and they never succeed at making sense of anything, because it wasn’t so meaningful, to begin with. This is just one of the downsides of watching a time-travel story. Some filmmakers immerse themselves completely in the concept and try to be as accurate as they can be, and while this is fun, it also takes away the freedom that they would have had on the plot. On the other hand, some filmmakers entirely focus on the plot and don’t bother with the finer details because they don’t seem to be too important. 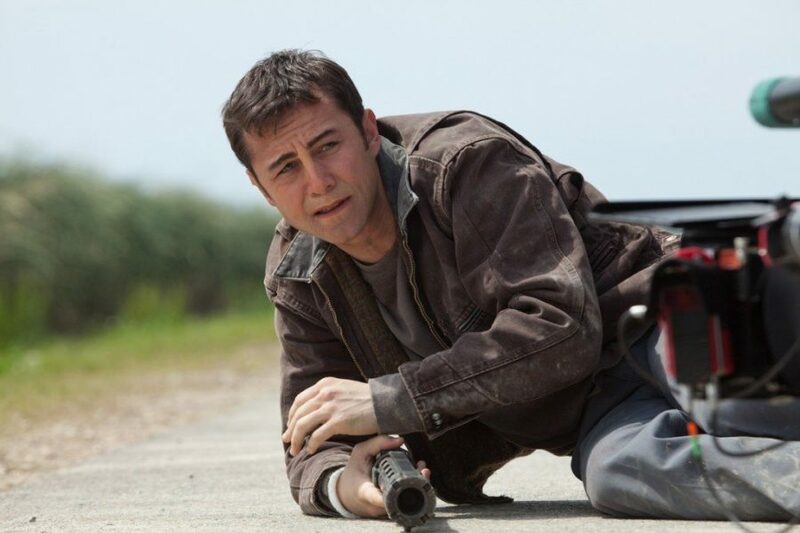 ‘Looper’ falls into the second category. However, closure is important, and once we have a question poking around in our head, we’ll storm our brains to find the answers. To stop you from doing that, here’s the idea of multiple timelines. Mind that this idea hasn’t been explicitly mentioned in the film, but it is something that fans have come to accept, because it gives them a sense of everything, and also because we didn’t get any substantial explanation from the filmmakers. 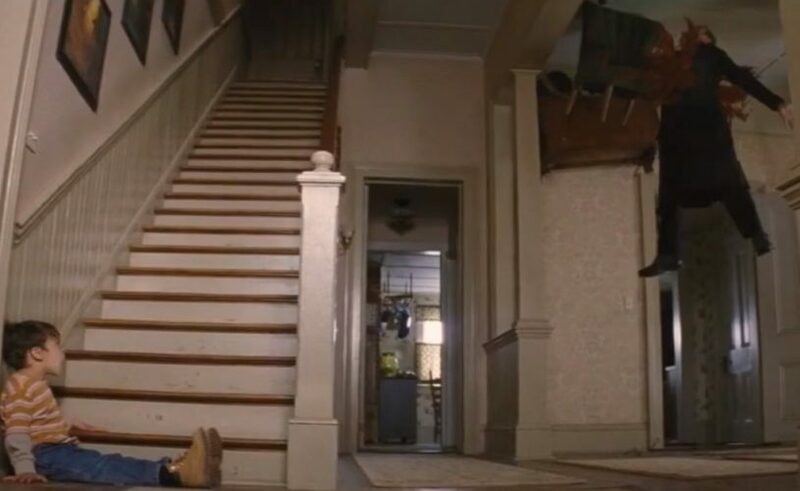 In the film, we see that old Joe comes back in time to kill the Rainmaker, whom he holds responsible for the death of his wife, and also for all the bad things that will happen in the future. In a shocking turn of events, young Joe realises that it is the actions of old Joe that will eventually be responsible for the rise of the Rainmaker and that the loop would never end. To solve this problem, young Joe kills himself, old Joe disappears and the event that could have kickstarted the making of the Rainmaker never comes to pass. This gives rise to another paradox, (which falls in line with the Grandfather paradox), if Joe died when he was young, then he never grew old, and never came back in time. If he didn’t come back then the events of the whole film become redundant because then no one attacked Cid and Sara, their lives went on normally, Cid didn’t become the Rainmaker, everything went fine in the future, which would mean that everything went fine with young Joe too, so he did grow up to become old Joe, and by now my train of thoughts has crashed because the rails don’t exist in the future! The problem here is that we are considering everything to be in one single timeline. We are thinking that all these people exist in the same universe, so if we draw their lives as lines on a chalkboard, we have to repetitively erase the lines and turn them in some other direction. The end result is that we have wasted all our chalks and the board is nothing but a highly degraded version of a Jackson Pollock painting! So, let’s simplify things by considering our options. The first one is to accept the fallacy and allow yourself to sleep at night. The next option is considering the existence of multiple universes. When one travels back in time they are not going back to the same universe. They are sent to another universe where the chain of events is affected by their further actions, while their original life remains safe and as it is in their previous universe. 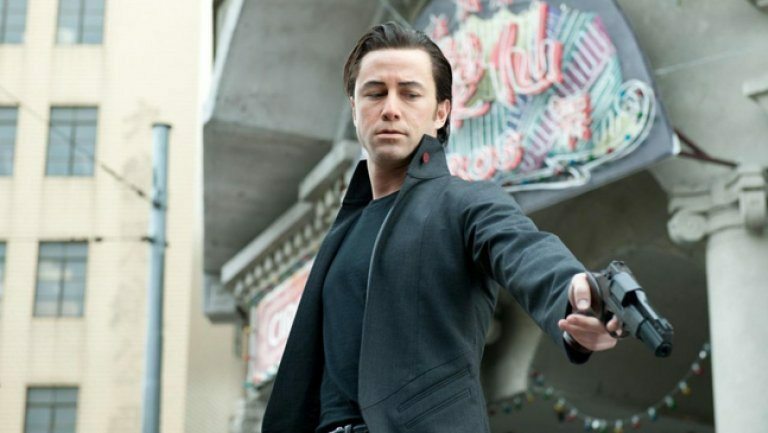 Considering this, ‘Looper’ has actually taken place in two separate universes. In one of them, young Joe killed old Joe and went about living his life, as it was supposed to be. But when he was sent back to the past, he ended up in another universe and there he changed the course of events, such that when young Joe killed himself, old Joe died and this world carved its own story afterwards. I know, this plan comes with its flaws too. But this is one of the acceptable things. Another theory is that Joe isn’t the deciding factor in the life of the Rainmaker. At the moment that demands him to spring into action, Joe’s own life flashes before his eyes- a motherless child, scared and alone, takes the wrong path and kills people for a living. But he imagines that this is the chain of events that’ll happen with Cid if he allows Sara to die at the hands of old Joe. So, he kills himself believing that this will break the loop and the future will have no Rainmaker. But what if he was wrong? What if Cid still turns out to be the Rainmaker? Surely, Joe can’t predict the whole future. He is counting on the fact that Sara will live long enough to mould Cid’s character. But what if there are loopers breaking out of their loops in the hopes of killing the Rainmaker. What if one of them becomes the reason that drives the events in Cid’s life? This makes the whole paradox of a world with or without Rainmaker disappear down a drain, and also puts a lot of things into perspective, although some glitches still remain. The problem is, just because are watching the story from the perspective of one character, we tend to believe that he is the hero of the story. Perhaps, it’s time to throw this perception in the past. 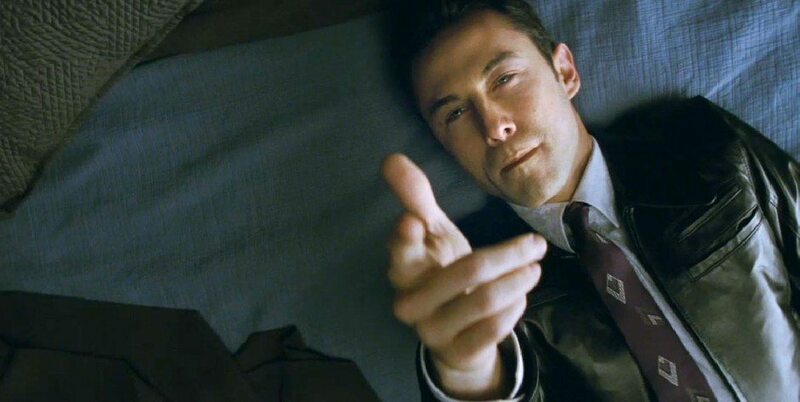 No matter the discrepancies in its plot and the inadequacy of its own science, ‘Looper’ is a very entertaining film and is held in high regard by the fans of the time-travel genre. What makes it better are the little details that are sprinkled throughout, which on catching your attention make its experience all the better. The story is set in 2044, and we know that Joe is 25-years-old. This means that he must have been born sometime in 2019! When the people from the Mob come for old Joe, they are dressed in black hats and overcoats. A similar toy figure can be seen in Cid’s room when he is practising math-tables with Sara. There wouldn’t be rain without the clouds, and the clouds become a repetitive entity in the film. We can see cloudy shapes everywhere, from the cup of Joe’s coffee to the blowing up of the Gat-man by Cid. At the beginning of the film, Joe dumps the bodies in an abandoned place which looks likes a power plant. 30 years later, this same place becomes the site of time-travel where the Mob dumps the people into the past. So technically, one person is dumped in the same place, twice! There is a lot of foreshadowing in the film. 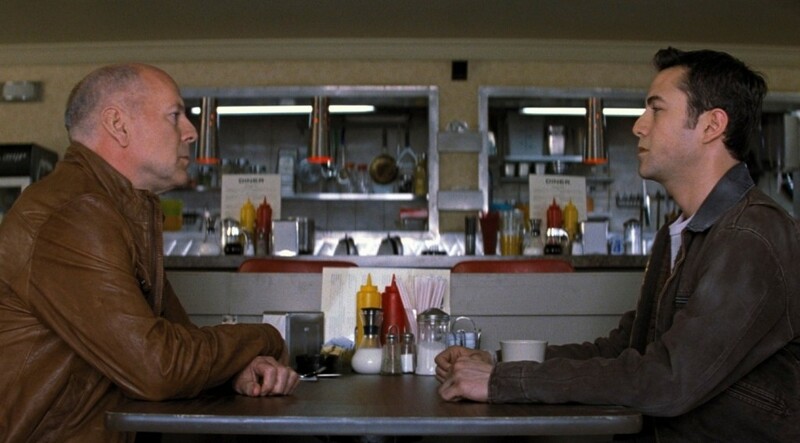 In the diner scene, old Joe tells young Joe about the Rainmaker, and how his legend talks of “a synthetic jaw, his mom being shot.” Later in the film, old Joe fires a shot that goes past Cid’s jaw. In an earlier scene, Sara tells young Joe that “It’s easy for things to get infected on the farm. Start falling off.” Did Cid’s wound get infected? Did his jaw fall off? Did yours? After Seth’s case, Joe tells Suzie about his mother and how she used to brush his hair. In the end, when Joe is dead, Sara brushes his hair lovingly. While some people have deduced from it that Sara could be Joe’s mother, which has led them to believe that Joe could be Cid or vice versa. This theory, however, comes with its own set of discrepancies and it wouldn’t fit the rest of the story. Suffices to say that it highlights the effects of the absence of a motherly figure from Joe’s life and perhaps shows a promise to how it could change Cid’s. There is another thing that seems rather odd. The loopers are like a secretive society and no one is aware of their presence in the present or the future. So, how does Sara instantly recognise Joe as a looper? This brings us to Sara’s history. She tells Joe that she abandoned Cid and lived a life of hard-partying in the city. We see how and where the loopers party. Also, she can easily spot him as an addict and even advises him about the length of his withdrawal. This means that she could have been an addict So perhaps, while in the city, she had been working, much like Suzie, and so, she came in contact with a looper who might have illuminated her about their job.